Highest quality scaffold hire from just £41.60+VAT for a week. At a time of fierce competition in the building industry, it’s never been more important to heed the old axiom that time is money. To keep that competitive edge, contractors need to ensure that no time is wasted on site. The best way to do that is to make sure you have immediate, easy, safe, stable access to the jobs in hand, indoors and out. 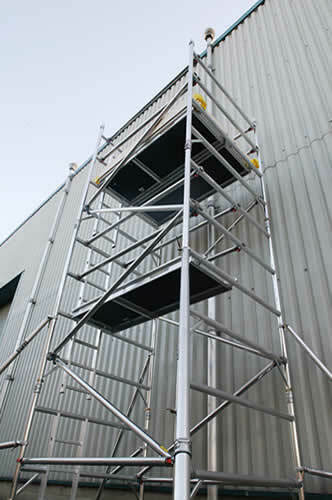 Aluminium scaffold towers provide the perfect answer. They not only save you a lot of time and trouble on site, giving easy access to even the most difficult jobs, but if you hire a scaffold tower in London it will save you even more time and trouble by promising guaranteed delivery of the equipment you need, on time every time. Getting large pieces of equipment such as mobile scaffold towers in and out of London can be a nightmare. Contractors lose countless work hours sitting in traffic while transporting mobile scaffold towers around the city. But you don’t have to. 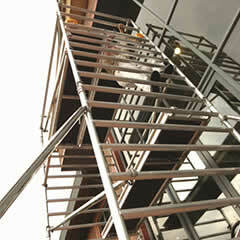 Scaffold hire London offers a simple solution. They’ll deliver it, ready for use. Contact scaffoldhirelondon.co.uk and you’ll have no more time-wasting in traffic jams, and next-day delivery is guaranteed. On site and off, it adds up to a double saving. We supply scaffolding and mobile scaffold towers in the London area ready to erect, with all the safety features you need, such as toe boards and stabilizers, included. 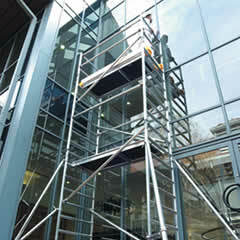 Aluminium scaffold towers provide a stable, secure platform indoors or out. They are ideal for site work. The highly versatile BOSS tower provides a strong working platform at a variety of heights. They are lightweight and mobile, with a work-deck size of 1450mm x 2500mm. As if all that saving in time, money and effort were not enough, that’s not all you get with scaffold hire London. You also get the advantage of friendly PASMA-trained scaffold tower advisers, top-quality stock, guaranteed next-day delivery nationwide, guaranteed morning delivery in London, and great trade rates from your first order. You can have scaffolding and other key pieces of equipment at your fingertips whenever you need it. Hiring scaffolding has never been easier All you have to do is order the equipment in advance, make sure you are on site to take delivery of it, and get to work. We know how important safety is, and all the scaffolding is carefully inspected and pressure washed before delivery, and all of it meets the latest national safety standards. Last year over 4000 people were injured while working at height. So before you hire, check to make sure you are getting the highest quality branded stock so you can be sure you are working safely. Speak to one of the few Access teams in the country that have been fully PASMA trained and a company that has earned a reputation for high levels of customer satisfaction on 0844 774 8197 . See our testimonials below.